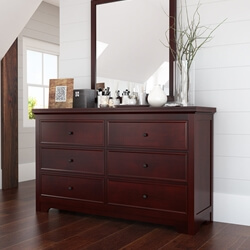 Wouldn’t it be great to have a vanity dresser that looks as great as you do every morning? 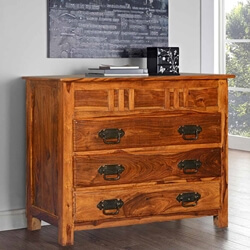 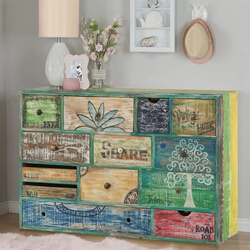 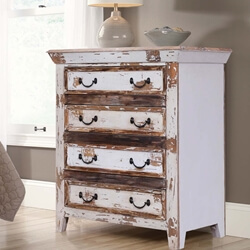 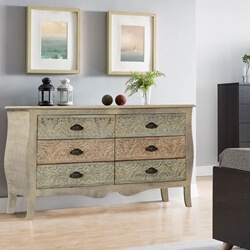 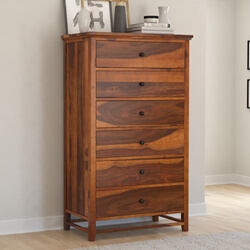 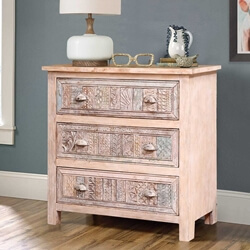 Sierra Living Concepts offers over 250 different handmade bedroom chests all built with solid wood by skilled craftsmen who take time to focus on all the details. 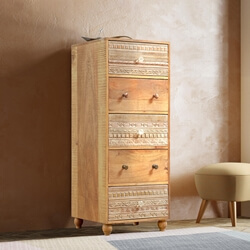 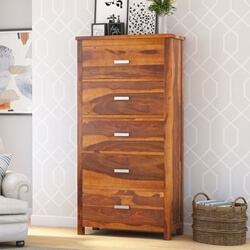 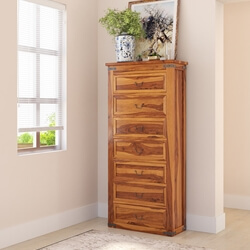 Our extensive collection of bedroom storage furniture comes in all sorts of shapes and sizes. 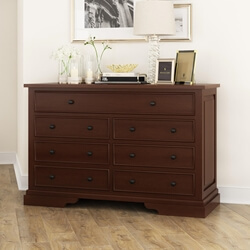 We offer dressers that stand off the floor and others that sit on the floor. 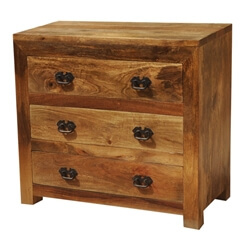 Some of our handcrafted chests have tops that are flush to the frame and others extend beyond the edge. 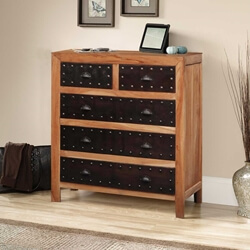 Some chests of drawers are hardware free, others feature classic or contemporary nobs and handles. 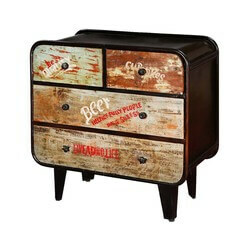 Also check out our dressers with shelves and cubbies. 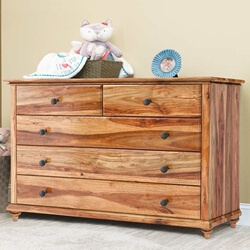 We only use solid wood in our bedroom furniture; no veneers, plywood, pressboard, or particle boards. 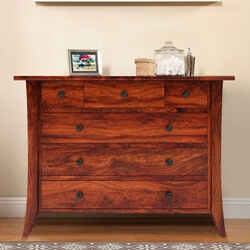 Each dresser and chest is built with a quality hardwood; Indian Rosewood, Mango wood, Acacia, Teak, or individually selected reclaimed wood. 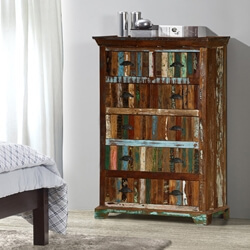 Our extensive rustic styles include Appalachian, Log Cabin, Natural Edge, Pioneer, Patches, Mission, and Farmhouse collections. 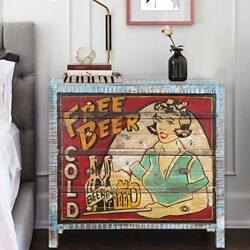 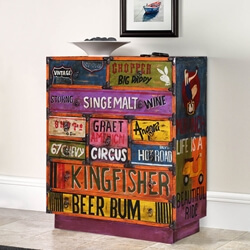 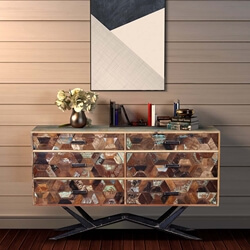 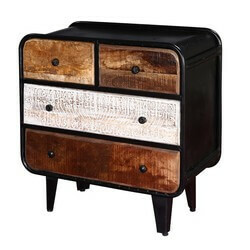 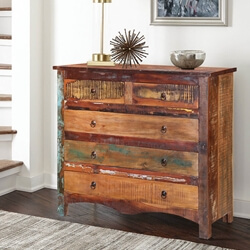 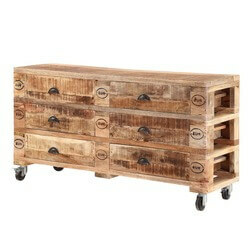 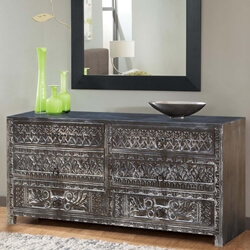 If you’re searching for contemporary dressers, look for Industrial, Mod, Retro, and Pop Art pieces. 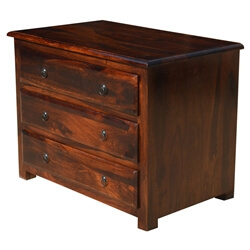 Traditional designs include Gothic, Elizabethan, Empire, Tudor, Shaker, and Pennsylvania Dutch chests. 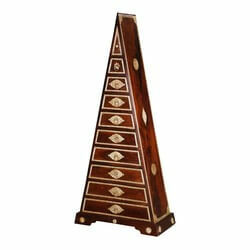 We also offer novelty and playful pieces including ABC, triangular towers, bombe, Fundango, and Mickey Mouse dressers. 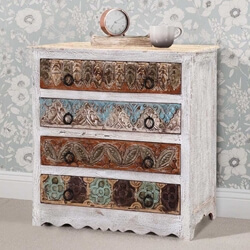 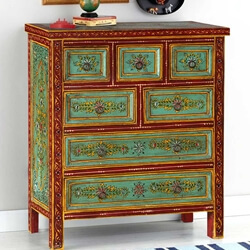 Many pieces in our bedroom dresser and chests section include hand-painted details, iron or brass elements, and hand carved designs. 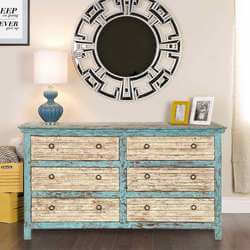 We also offer customization on most of our furniture. 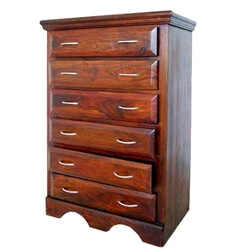 If you need a dresser to be a little taller or a chest to have a lighter or darker stain, please contact us.